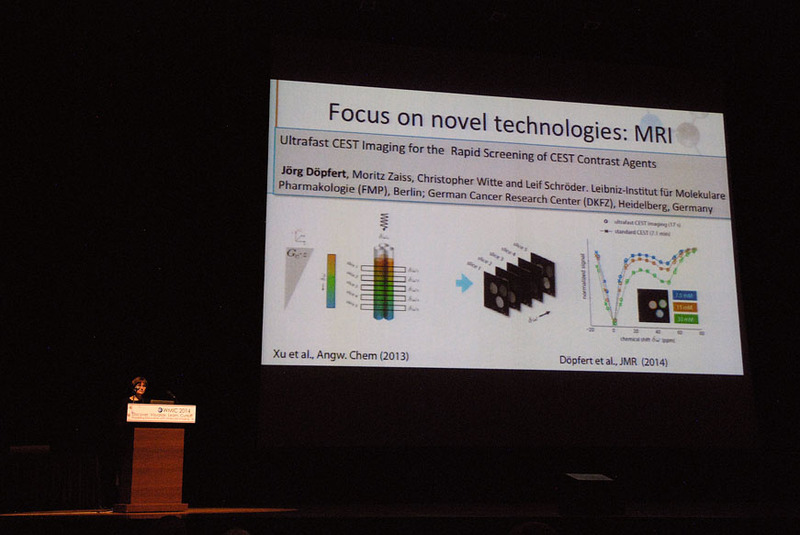 Recent progress in biosensor research presented at the World Moecular imaging Congress (WMIC, held in Seoul, September 17-20, 2014) was featured as an emerging methodology highlight at the closing ceremony. 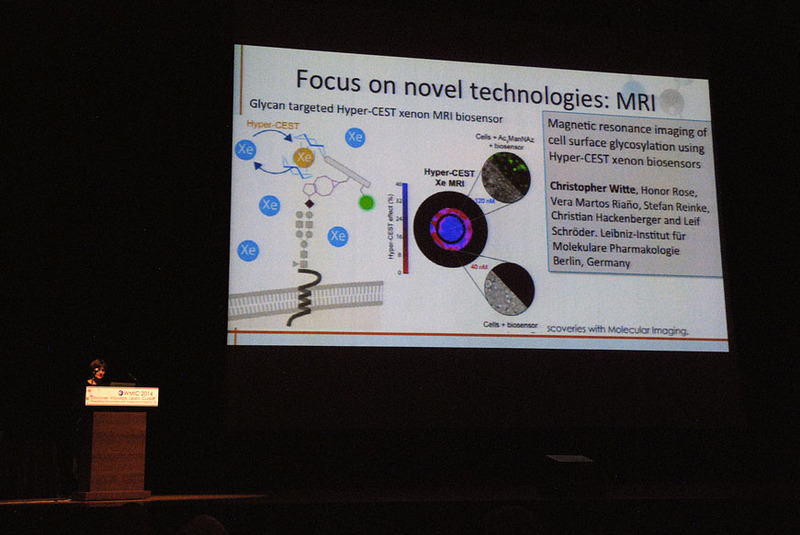 In summarizing the latest significant contributions to the field of molecular imaging, Michal Neeman from the Weizmann Institute also mentioned the work by Chris Witte and Vera Martos from the Hackenberger lab. 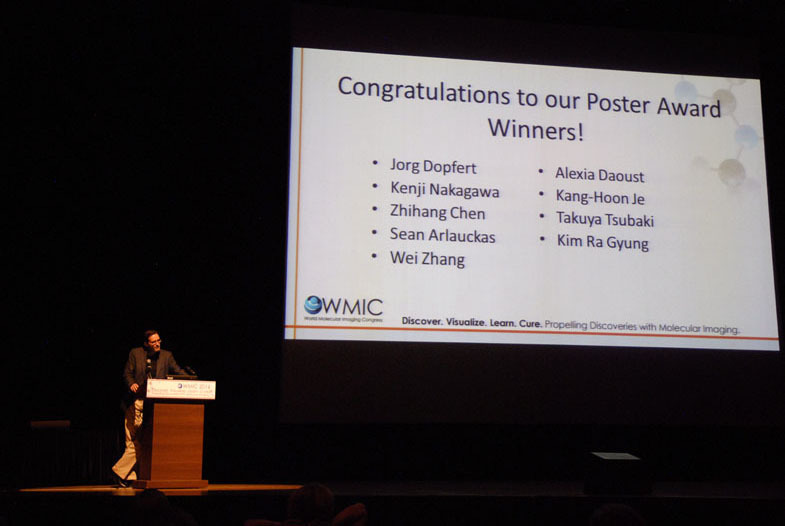 Jörg Döpfert's work in collaboration with Moritz Zaiss from the DKFZ was also featured and awarded a poster prize. 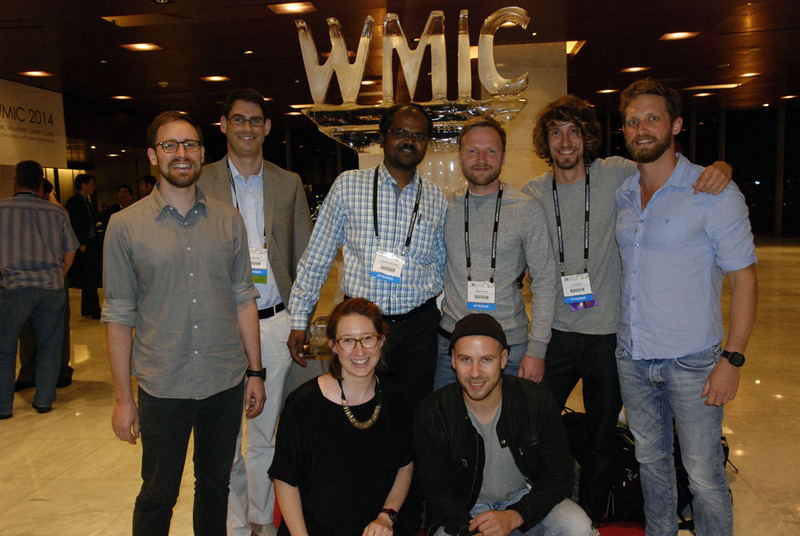 Altogether, our work was honored with 3 travel stipends from the WMIC (to Honor Rose and Martin Kunth as well as to Stefan Klippel as a joint student with the Freund Lab from the FU Berlin), and two fellowships from the DAAD (to Matthias Schnurr and Jörg Döpfert), thus allowing us to present multiple aspects of progress in Hyper-CEST applications.